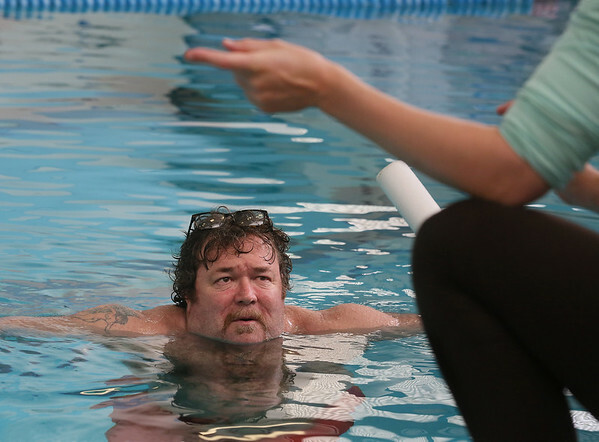 Matthew Freda of Gloucester listens to aquatic therapist Naomi Graham during a joint mobility and core stability class at the Cape Ann YMCA swimming pool in Gloucester. Freda suffers from debilitating back pain. "I haven't walked more than two or three minutes in a dozen years," Freda said. "The pool is the only place I can exercise."